Fashion With A Conscience has moved. Visit www.fashionwithaconscience.org: OMG Moment: So jealous! 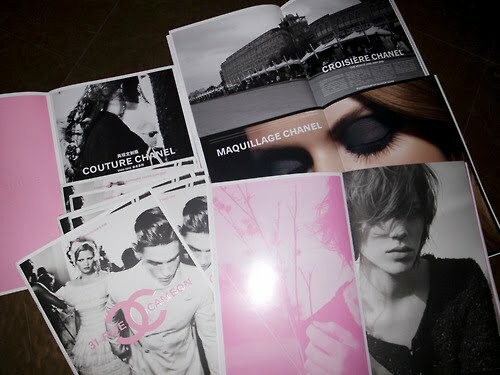 Chanel has it's own magazine! Hip hip hurray! Here is your first look at the first issue of 31 rue Cambon. (the magazine was named in honor of the first Chanel store. Pretty classy! We like it!) Love, Kelie. P.S. : We're so jealous of purple Diary who collaborated with our idol, Karl Lagerfeld on the project! :) Good jealousy, of course. Just because we love it and because it's Chanel! Just because we love it! Boot edition. I heart revolution. I've seen it, now what?